Do you have a plumbing or HVAC problem and need a professional plumber, air conditioning, and heating company? Hire Rite Rate to take care of that for you. When a plumbing problem occurs, many people think they can handle it themselves. After all, "how hard can it be?" they may ask. With the internet as a guide, it seems many can do just about anything. Right? Wrong. Many have found out the answer to this question the hard way. When it comes to plumbing, years of training and experience are essential to be knowledgeable to fix these problems. This is where we come in. All our plumbers are highly qualified, licensed, and have years of experience. This makes them highly knowledgeable in the installation, replacement, and fixing of plumbing, heating, and air conditioning systems. When you hire us, you will receive a comprehensive diagnosis report showing any underlying problems that there may be. We will also provide you with several suggestions we may have in regards to the problem you're experiencing. By hiring us, you'll learn more about your problem than you ever could if you tried to do it yourself. 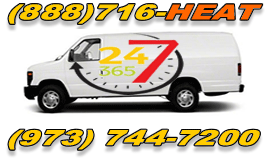 We operate a 24-hour business and emergency service is our specialty. Experiencing clogged drains? Are there problems with your hot water system? Is your tankless water heater acting up? Are you distressed by the uneven temperatures and noisy operations from your central heating and cooling system? No problem. We'll arrive fast and work on getting you living comfortably once again! We are the preferred heating company in Mahwah, NJ for heating repair, installation, and replacement. At Rite Rate, we have dedicated licensed professionals to take care of all your plumbing, heating, and air conditioning needs! Calling us will also save you money. You'll get an expert who can offer solutions in accordance to your budget. Our plumber or technician will provide you with an accurate estimate for all services whether they are repair, installation or replacement. We strive to do only quality work and pride ourselves on our excellent track record of consistent high-level workmanship. In addition, we treat your property like it was our own. Just as important, every time you call us you'll be greeted by a friendly customer service professional that is trained to assist you as quickly and efficiently as possible. Rite Rate is here for all your plumbing, heating, and air conditioning needs! If you want the most reliable plumber, air conditioning, and heating company in Mahwah, NJ, call Rite Rate today!